Once a year, Ghana’s capital Accra is transformed into a paradise of art, music, design and dance. 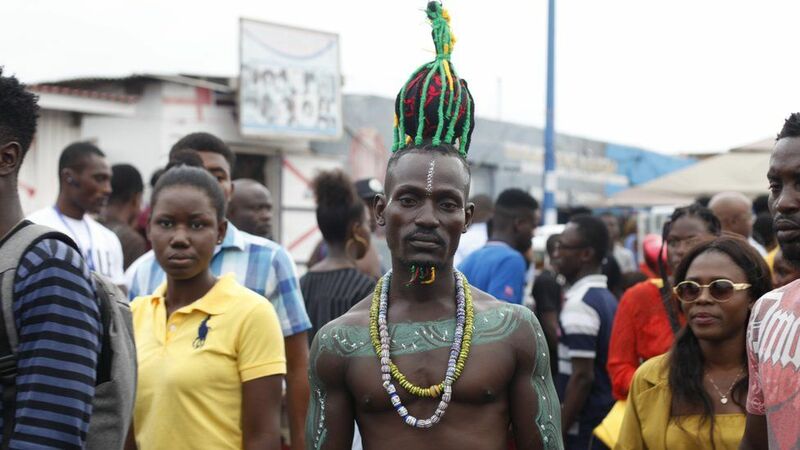 At the end of August, the 8th Chale Wote Street Festival took place in James Town, Accra’s oldest district. Artists and performers of every kind filled the streets with colors and vitality. When the festival was launched in 2011, the organizers had one vision: to inspire the many of West African art, breaking creative boundaries and using art to rejuvenate public spaces. It’s about connecting artists and society through art. More than 200 Ghanaian and international artists annually grace the festival with their works. The festival is a platform that aims to unite artists from all over the world. Over the past eight years, the festival has transformed Accra into the most active, cultural hub of West Africa. Para-Other represents our evolution beyond the dialectic of belonging and non-belonging: Para-Other means to transcend language and geography, but is also represented in relationship to unique locals. Para-Other requires new knowledge fractals, codes, symbols, and sounds that transmit our core creative intent where imperial languages fail us. 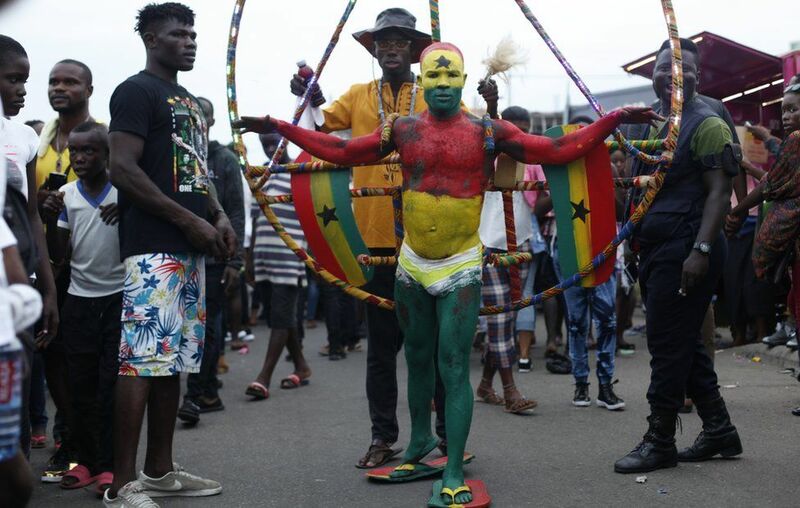 Sylvester Otoo turned himself into a work of art, painting himself in Ghanaian colors, widening his arms to wings and carrying huge flip-flops to reflect the name of the Chale Wote Festival, literally meaning “my friend, let’s go” . It also stands for sandals in Ghana. The artist Edmond Lartey presented the traditional outfit of the people Ga, called “Otofo”. 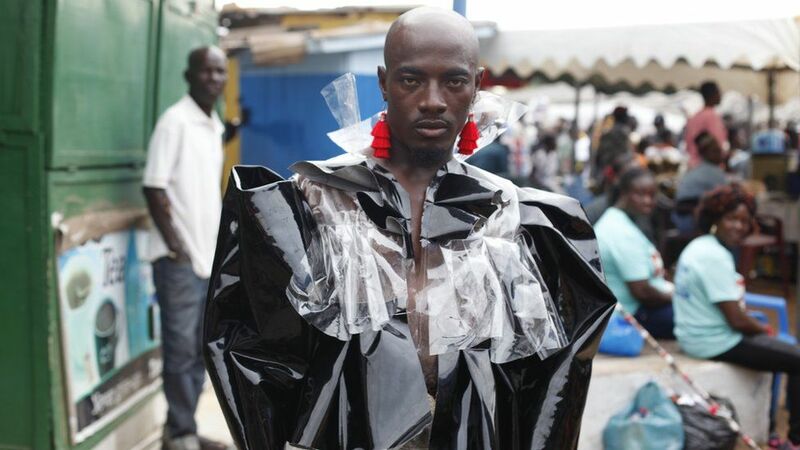 Artist Jalud Rashid wore a plastic bag costume to emphasize how important it is to recycle plastic waste. 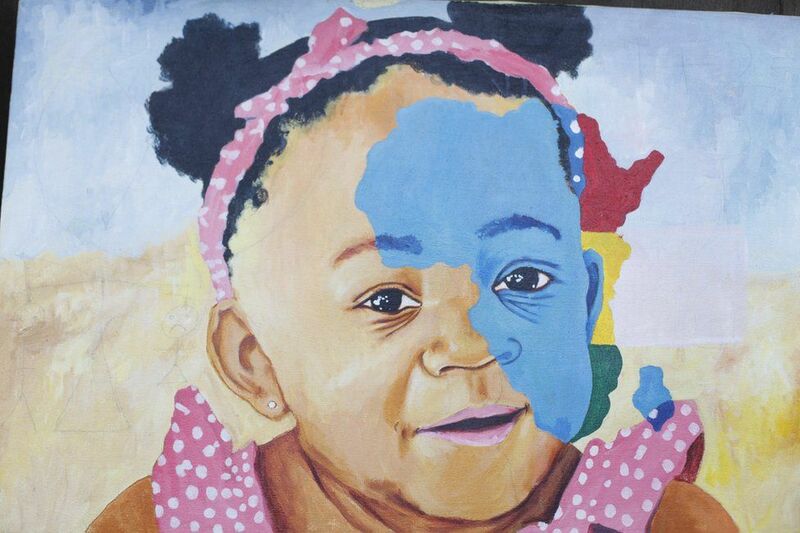 The Ghanaian artist Botchway was one of the artists who painted his artwork in public. For example, he painted a young girl with a blue patch of color on her face to indicate the disease vitiligo. Victims of this disease are often discriminated against. 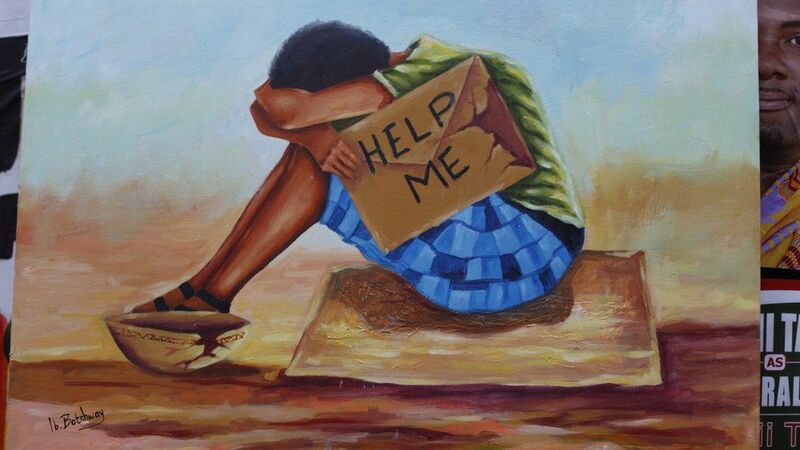 Or he painted a boy huddled with a “help me” sign in his hand to call on people to protect children so that they can achieve their goals. 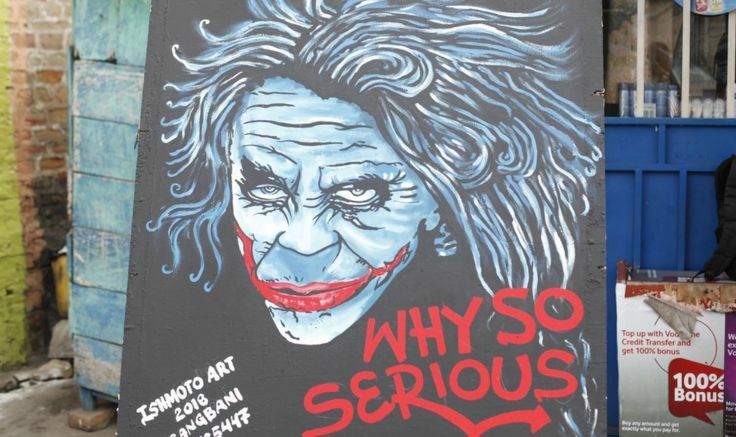 The artist Ishmael Amu painted an individual form of the “Joker” with the words “Why so serious” to make people realize that they should not take life too seriously. 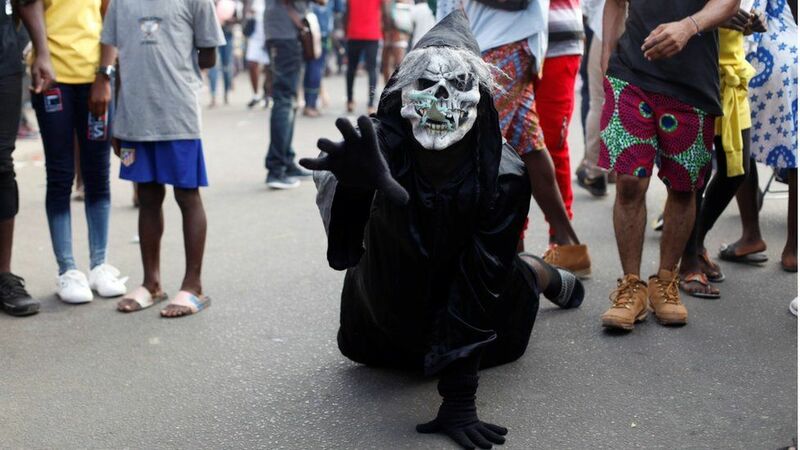 Gideon Osei Adams wore a ghoulish, dark costume with a skull-like mask to show people that they should be humble and respectful while they’re still alive, because when they’re dead, it’ll be too late to bend all wrong, he said. These and many other inspiring images of artwork were captured by Thomas Naadi.